The Hotel Garisenda , 3 stars in Riccione, open all year round, is located in the central area, close to the beach. Ideal for families, it has parking, WI-FI and services for children. The restaurant serves meat and fish menus, with special attention to celiac and vegan. Admits pets of all sizes. 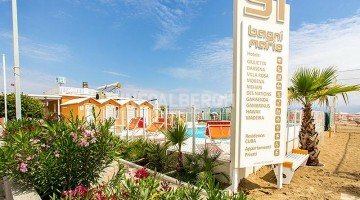 The property is located on the D'Annunzio promenade: the beach is reachable by foot across the street, while a short walk leads to the shopping avenues (Dante and Ceccarini). The Darsena and the train station are also easily reachable on foot. 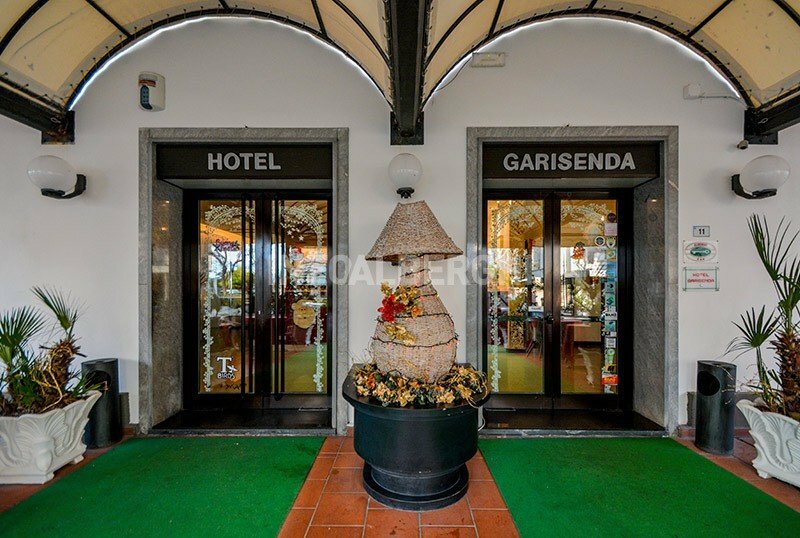 The Hotel Garisenda offers rooms with balcony (also with sea view), air conditioning, WI-FI connection, satellite TV and digital terrestrial, private bathroom with shower, tub or shower curtain, safe and telephone. On request: minibar and hairdryer. The structure is open all year round and has a open-air porch, terrace, reading room, elevator, reading room with newspapers in use. Theme nights are organized. PARKING: 8 seats next to the hotel, 25 places 1.5 km from the property. CONVENTIONS: beach, amusement parks, discos, gym, swimming pool, spa, waterslide, law enforcement, organized excursions. LUNCH AND DINNER: traditional local cuisine with local and seasonal products, menus with 3 or more choices of meat and fish, appetizers, side dishes of fresh vegetables and handmade desserts. In the hotel: bicycles with child seats, pushchairs, baby sitter. In the room: beds with rails. At meals: high chairs, broths and baby food where you can dilute the homogenized. Alternatively, it is possible to prepare the products delivered by the chef or cook by himself in a space used as a kitchenette. The meal in the children's room is served in advance at the ordinary time. The structure has an agreement with the beach n. 91, equipped with a playground, hot and cold showers, entertainment, nursery toilet with changing table, bocce court, beach tennis and beach volleyball. A heated pool with a hot tub is also available for a fee.